The stark interiors of the Asserbo House contrast vividly with the rich, surrounding foliage to create a meeting point between the predictable and the unpredictable. 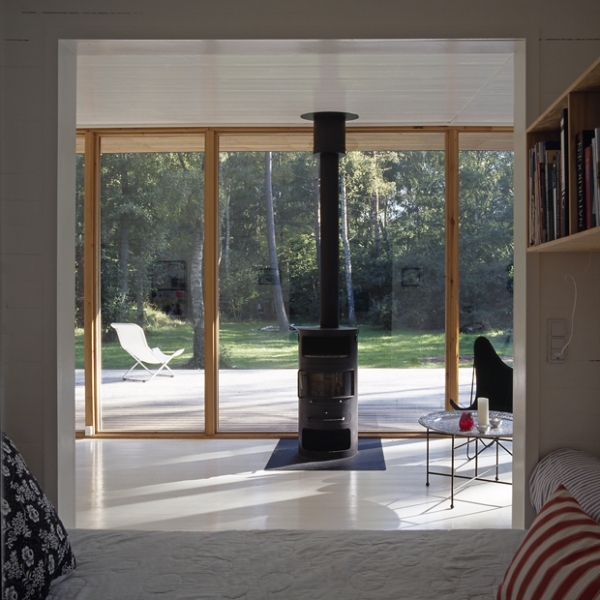 A modern forest cabin on the Danish island of Zealand, this delicate introduction into the natural landscape, carved out by architects Pernille Poulsen and Christenson & Co., creates a stunning living space for weekend pleasure. 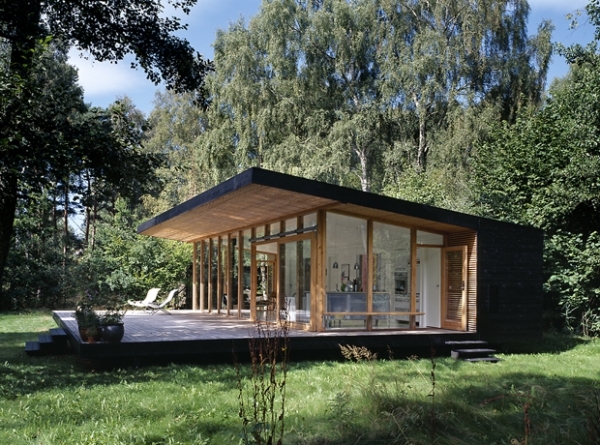 Molded in modernist European sensibilities, this cabin dwells in lightness. 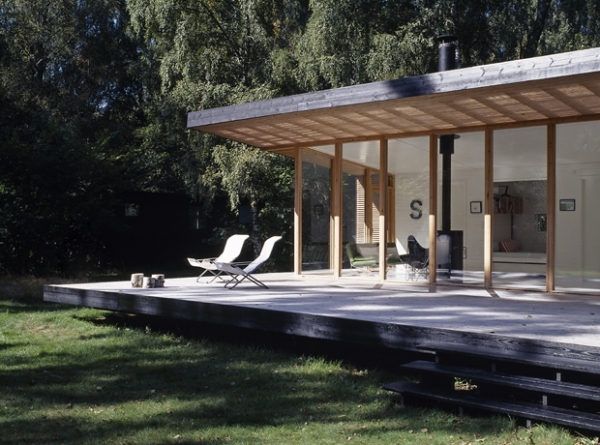 The materials and scale of this modern forest cabin are designed for grace and subtle dexterity. 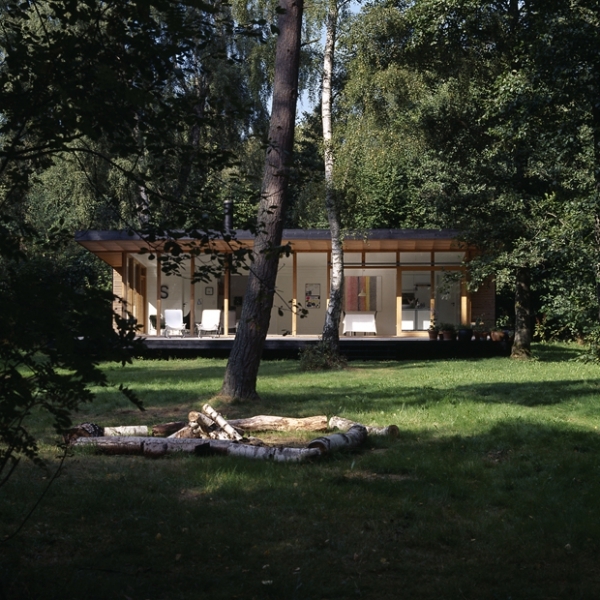 A seamless volume of wood folds on itself to encapsulate a living space that is oriented towards the forest before it. 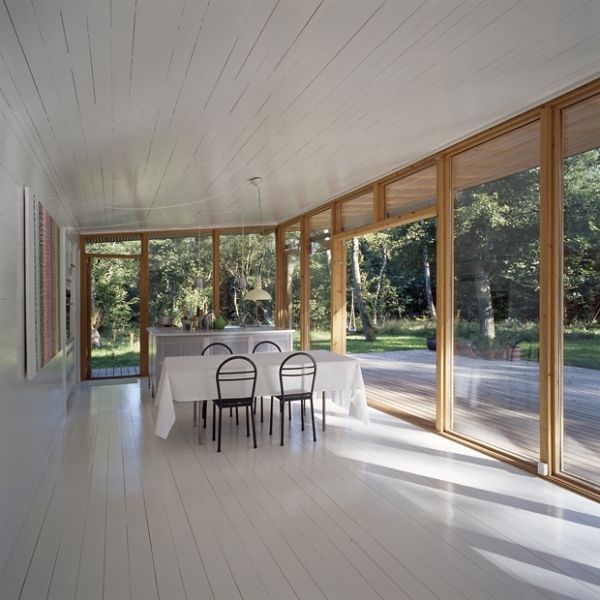 Full height glazing with elegant timber framing creates a transparent membrane that acts as an active interface between the outdoors and the inside. It affords stunning views and grand vistas which invite the activities of the cabin to spill over onto the generous deck. The interiors float in a sea of white with the living, dining and kitchen occupying the primary, open planned volume. The sleeping area, bathroom and storage are tucked into the solid core that stretches along the rear wall for added privacy. 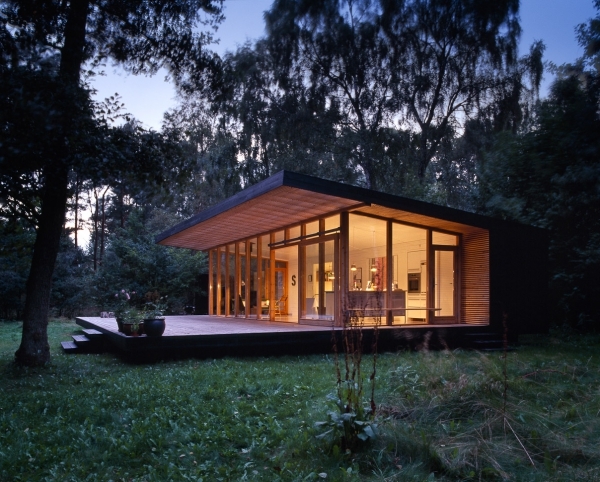 This intriguing modern forest cabin offers a minimalist canvas for weekend getaways in the woodlands. Gently stirring up its context, this is a design that shies away from bold, bashful strokes to allow the natural character of its surroundings to freely permeate through it.